Damask roses give this fragrant water an ethereally lovely fragrance reminiscent of long Summer days in an old English garden. It is a perfect toner for sensitive, dry skin, broken veins and delicate complexions. Refreshes, hydrates and cools. Fantastic while travelling to keep you look fresh and protect skin against dehydration. 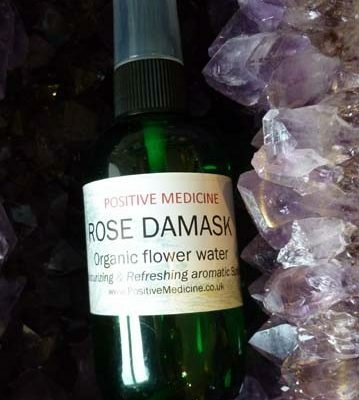 A splash of rose water distillate helps to reduce the appearance of thread veins on the face. This spray has the most delicious delicate scent. This is one of our best-loved flower-waters. As recommended by Kate Shapland from the Telegraph Magazine.